Roasted pork and apple is a perfect partnership. For this sandwich we have shredded fresh apple and combined it with slaw and mayo to complement the richness of the roast pork. Combine the slaw ingredients together with the HELLMANN’S Deli Mayonnaise and COLMAN'S Whole Grain Mustard and set aside for use. 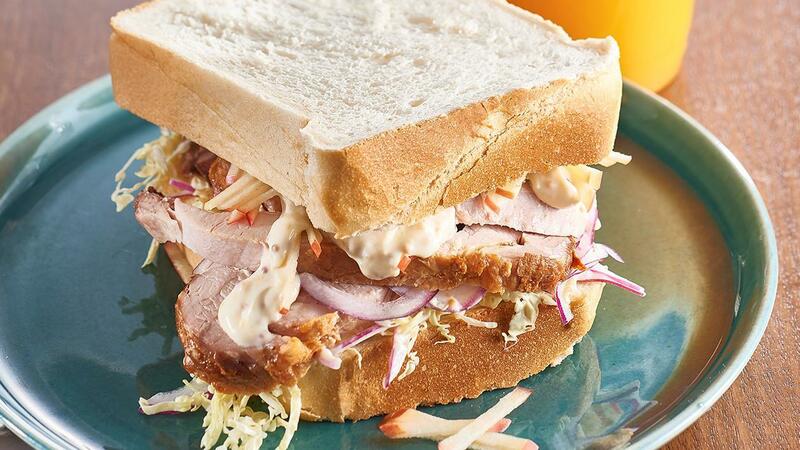 Layer slaw and sliced pork over half the bread, top with extra mayo if desired and remaining bread and serve. Warm the pork before making this sandwich. Your customers will go nuts!